Iowa State University (ISU) Extension and Outreach is gearing up for their 2nd Annual Bike-n-Bite on June 8 with more stops, more eats and two routes (15 & 25 mile). Fun for the whole family! Registration is $15 per person by June 5 or $20 at the door. Children 12 and under are welcome to attend with their parents/guardians for free. 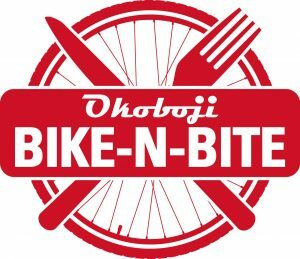 Register online at Okoboji Bike-n-Bite Registration.